such a huge fish and believe me, when you haven’t seen one for a while they are in a league of their own, simply humungous! The width across her back was unreal and the size of her belly told me that she hadn’t gone hungry over the past few months, probably moving into the swim from the snags downstream and having her fill. Yet I was wondering if this was the case why it had taken so long for her to slip up. On lifting the net I guessed a weight nearer twenty pounds than fifteen and was certain it would easily eclipse my previous personal best of 16lb 10z caught many years before. On the mat I quickly inspected her mouth and apart from where my hook hold had taken place no others were present, not even old ones which made me think this could have been her first visit to the bank. Zeroing the scales to the dampened sling I carefully slipped her within its folds then with shaking hands lifted her of the ground. I was amazed when the needle refused to pass the 17lb mark and after a couple of attempts finally accepted a weight of 16lb 11oz. A personal best is a personal best even if it’s only by an ounce and after resting her once again to get her breath she powered off from my grip, back into the depths of her home. Enthused by the capture myself and Chris stepped up the assault in the hope that an even bigger barbel would show. Tactics were rethought and it was decided that as Chris was arriving, in most cases after dark, around 7pm, that he should concentrate in the swim where the big girl was caught. Fishing often till midnight this would mean he was there at what we had discovered was bite time, 10pm – 11pm. I continued to rove around the swims, ignoring his, at different times of the day but more often at a time I consider to be the most productive in angling as a whole, dusk. The next four and a half months were gruelling and extremely frustrating and come the end of the river season no further barbel had made an appearance. It wasn’t just barbel that were few and far between as the bream which were regular visitors to the bank disappeared and although a few chub did start to appear these too weren’t regular. Although catching such a magnificent fish has to be considered a successful, I still feel for Chris who had put so much effort in, gone the distance yet wasn’t lucky to have dropped a bait in the right swim at the right time. I have always thought that effort equals reward, however now I know this is not always the case in angling. At the start of the season, way back in June when we decided to take on this new challenge I had thoughts of a dozen barbel gracing my net and Chris a more reserved six, yet just three turned up. The other possible fish that could have shown were chub to seven pounds yet our biggest was a modest 5lb 9oz sample and carp to 30lb yet not a single carp was spotted et alone caught. We knew that a double figured bream was on the cards and in most cases, when caught these averaged 8lb but the 11lb 2oz specimen was way bigger than what we had expected. So why was the campaign such a tough one? Well these are my thoughts. Safe havens – The stretch of river is neglected far beyond repair and many yards of river, throughout its two mile length, is completely unfishable. These areas of numerous fallen trees are safe havens for the fish who can happily lead a carefree life feeding on naturals. Flood alert – One thing that we both missed when looking at the river in the summer was access when the river was in flood. The bottom end is accessed across a couple of fields, a flood plain and when it rains and the river flood this approach is cut off. The top end is accesses up a path, however a few hundred yards upstream we had failed to realise that the dip in the path was also liable to flooding. On one occasion towards the end of the season we did consider taking off our boots rolling up the trousers and wading through it but no fish is worth your life and we adhered to sensibility. Otters on the prowl – Why we couldn’t localise any numbers of fish to frequent a swim was something we couldn’t understand, and then all was revealed when an otter pocked its head up in one of the swims at the back end of the season. Think about it, if you were a barbel when would you feed? When the river was in flood, up and coloured, a time we couldn’t access the river or the otters feed as effectively. Bad year – Every now and again a winter arrives (or in this case doesn’t) and although just like the last one which felt so good with mild conditions prevailing right up to the turn of the New Year, it doesn’t fish well. Many of the other barbel anglers we spoke too were also struggling on other rivers and on stretches they knew well, yet here we were fishing a rock-hard stretch throughout a very difficult winter. Looking at these four factors we finally realised why the fishing was so tough and both agreed that in the circumstances we had given it our best shot. This season will be back barbel fishing on the same river? No, well certainly not on such a full-on assault, yet knowing that a there’s a barbel that could easily weigh in excess of 18lb swimming around, it’s always worth the odd visit when conditions look right. 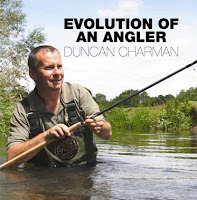 Duncan Charman is sponsored by Nash Tackle and Bait and has his own website www.duncancharman.co.uk He regularly contributes to top weekly, Anglers Mail magazine. He is also an angling guide and can be booked on a daily basis for most species including carp, pike, perch, chub, catfish, barbel, bream, grass carp, crucians, roach, rudd, grayling, tench and golden orfe. For more information and prices email him at duncancharman@me.com or give him a call 07928 617006 / 01252 315271. After landing that 10lb 14oz barbel back in June we thought that the flood gates would open and we both continued with added enthusiasm. Fish were gracing our nets on most visits, so we knew that the priming of swims with Nash ‘The Key’ boilies was working, however disappointingly they weren’t from our intended quarry barbel but big bream instead. 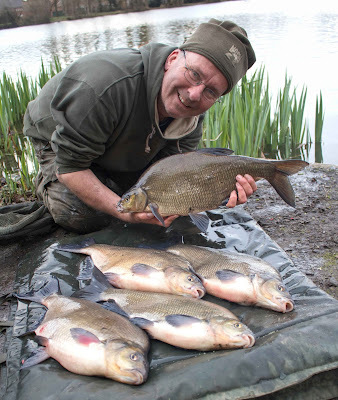 We weren’t initially that concerned as my first barbel fell on an evening when there was a lot of bream activity in the swim so we knew they were comfortable sharing the same swim and feeding together. However when July past, then August without another barbel capture we were beginning to scratch our heads. Fortunately angling pressure was very light. A couple of carp anglers had started a campaign and were set up every weekend in a big bend towards the bottom of the stretch. Chris had stopped for a chat one evening and they too were struggling. In fact they had failed to land a carp all summer and apart from bream just one barbel of 13lb 9oz had graced their nets. I also came across another barbel angler that was set up for the night and on my way back to the car around 11pm helped photograph a barbel which weighed 12lb 7oz. He also had a 10lb 15oz barbel during a later visit and as he was doing whole nights our thoughts were beginning to edge in this direction. A couple of other anglers had settled on the venue, both barbel anglers and they too were finding it tough with just one chub for their efforts from numerous visits. Come the start of September we were alone, testament on just how tough the fishing was but we weren’t deterred, in fact once autumn arrived we were confident that the diminishing natural food larder and cover for the fish to hide in would mean one thing, fish in our nets. Time to start asking questions. When September past with no barbel action we really did start asking some questions. Was pre-baiting worth the effort? Did the barbel not like our bait? Was our swim selection wrong? Were our rigs crap? How many barbel did this stretch of river contain? It doesn’t matter how confident an angler is, when things don’t happen you naturally start questioning things, yet we’ve been round long enough to know that changing swims completely or bait would just be a recipe for disaster. Saying this though, small adjustments can make massive differences and sometimes doing something major just to confirm that you’re not doing it wrong, needs to be considered. One day we decided to move around the whole stretch using a method that I have caught hundreds of barbel on, the Method-Lead with a hard pellet on the hook. We fished from dawn to dusk and into darkness spending maybe forty minutes in each swim which included our pre-baited ones. The result was a big fat blank which confirmed one thing, they didn’t want another bait. Complete confidence in our set-ups meant these didn’t need changing, although on the odd session I did try a longer hooklink only to find it made no difference and revert back to my preferred length. The PVA bags had done their job of keeping our hook points free from weed but with the weed now dying back and in some cases the swims free of weed we decided these could be deleted from the attack. I’m have to admit, to feel confident I need some bait close to my hookbait so started to use a four bait stringer and increase my single 15mm boilie to a double 15mm boilie set up along with plenty of paste moulded around these. I had also changed from using mono to braid. The reason was more as a fish finding exercise than anything else as I just wanted to exaggerate any liners or chub twitches which in turn would create confidence. I was initially worried of hook pulls yet to date can honestly say that I haven’t lost a fish and now feel completely at home using it. As for swims, we are now still fishing three of our original six swims. One swim was abandoned as it flooded and became unfishable as soon as the river rose a foot or more. One was far too close to a major, unforgiving snag so we started baiting a few yards further upstream and one was ignored as it was where the carp anglers had settled and we didn’t want to bring too much attention to ourselves or be introducing HNV baits into their swims. Another swim was added to our choices which is in really deep water; one that we hope will produce when the winter really sets in. So with five swims on the go we are still roving between these, spending a few hours in each, often on different days to each other so they are all getting plenty of bait and being fished at different times of the day. We have even spent a few complete nights in certain swims just to try and increase our catch rate and find out if the barbel are feeding in the early hours, yet come midnight everything goes quiet and so far neither of us has had a bite after this time! So having given the stretch our best shot, tweaked everything to try and buy a few extra bites we have now come to the conclusion that this river contains very few barbel. We are aware that barbel do migrate to this section in the depth of winter as it’s a deep section and offers plenty of cover. However we believe we have been fishing to date for just the odd barbel and ones that we are sure are very nomadic, so actually being in the right place at the right time is almost impossible to predict. We knew it wasn’t going to be easy and that we were indeed fishing for what could possibly a fish of a lifetime and it was this that kept us going. I had said to Chris that I would be happy with a dozen fish over the campaign with Chris going for a more conservative six yet we were now thinking that a half dozen between us would be classified as a result! I’ve always rated November as being the best month for barbel and things have just taken a turn for the better. An overnight session in the same swim that produced the double back in June has just provided our second barbel. I’m fairly confident that it’s the same one I photographed back in the summer for another angler now over a pound bigger at 13lb 9oz. during an intended overnight session and when this one went in the net I became an uncontrollable gibbering wreck, it was that big! Wow, what a great day. I know we didn't empty the lake but what we did catch was fab. It was so nice to chew the fat with such a like-minded angler. It was really good to refresh things and update my tactics. I knew I'd got a bit 'unbalanced'. Please just send me through a bit of a shopping list when you get time, no rush. This is the best email address for me. Thanks again for your help breaking my venue tench blank - not a monster but lovely and very cool. I learned so much today. Good luck Friday, looks like it's going to start turning cold again. Hope you grab a big tinca before then. It’s been a really difficult month as much of my time has been helping the girlfriend sell here house so many days have seen me dealing with estate agents, solicitors, surveyors etc as well as tidying up the property and moving her belongings in to my house. Getting into any fishing myself has had to be put on the back burner and trying to write when constantly having to stop-and-start just doesn’t work with me as I struggle to switch on and off when writing and prefer to just shut myself away in the office, far away from any distractions and get on with things. Hopefully come the end of the month things will start to slow down and come the end of April everything should be sorted, allowing myself to get back into some serious fishing. Saying all this though I did still manage to put a few good fish on the bank and a quick look at the diary shows that I managed to get out on the bank a dozen times split between guiding days (7), personal sessions (1) and features (3). Obviously paid jobs come before pleasure trips so it’s not surprising that I had just one session to try and clear my mind. In fact it’s been so manic that I have on occasions done very little, if any fishing related stuff which you will see from my day-to-day record below. I’ve even forgot to keep my daily diary up to date and found myself trying to remember just what I have done and having to revert to my monthly calendar. I’m usually a very organised person so must apologise to everyone for the lack of information and on occasions forgetting to get back to them when promised. Fortunately all this running around has happened during a couple of months when the weather hasn’t been very kind and although my personal sessions have suffered I don’t really think that I have missed too much. April is now with us, the days are getting longer and the water and air temperature rising slowly so I’m going to have to make a concerted effort to get out and when I do work that little bit harder to put a few extra fish on the bank, however the new month has continued in a similar manner to March as the planned early morning session tomorrow (Mon 4th) has had to be cancelled as I’ve just had a call from an engineer wanting to get an energy efficiency certificate done on the girlfriends house at 9am, joy! 01/03/16 – Spent the day in the office mainly writing up the Twynersh feature. 02/03/16 – Having had a few days of no rain headed to the River Itchen at Winchester with a customer who wanted to christen a new centrepin which he did in style landed around forty fish including salmon par, brown trout and grayling to 1lb 8oz. 08/03/16 – It’s been a difficult winter for many and one of my regular customers Lewis just wanted to have a relaxing day catching a few fish so after a quick breakfast in the local cafe and after leaving his car at my house we headed down to a little lake that I discovered a week or so back which held some quality roach, a species that Lewis loves. The weather wasn’t great with early and late drizzle but far better than a few weeks earlier when Tom had managed 25lb of quality roach when the venue was 80% frozen. Fishing is strange as the unpredictable nature of this winter continued and although far from impossible the venue fished quite hard. I had a fish myself that was great and between us we took maybe two dozen roach, most around a pound to about 1lb 4oz, four carp to 8lb and fifteen or more fantails so a cold brain taxing but enjoyable session. looked great. Headed to Stanford but busy so settled in top field. I blanked whilst Chris took a chub weighing 4lb 10oz. 11/03/16 – Headed back down to Golden Pond I the thick fog with another customer. Everything looked good with Alan catching on the pole and myself on the feeder, however once the sun broke through and the fog cleared it became almost impossible. I scaled right down to a size 20 hook and continued to land a few, mainly roach to 1lb 8oz and fantails. Decided to call it a day early so that Alan had time to get to the river. 15/03/16 – Really wanted to have one last go up the river but knowing that we were unable to get to it last week when not only was it in flood but also when it was a new moon almost could have stayed at home and written the result and as expected the six hour session moving around swims either side of dusk produced absolutely nothing. Chris was also on the river and fished from 7pm to 11pm but again returned home unrewarded. 16/03/16 – Back in November I tried to create a video at Bowsaw Lake fishing for stillwater chub on the waggler and maggot but found the conditions far too mild and got beaten up by the carp as well as having a couple of RAF Odiham Helicopters above for most of the afternoon. Today was our return and the lake seemed far more suitable for the method with hardly any wind and just after a cold spell. The fishing was OK, far from brilliant, but I managed around twenty chub t around 2lb 8oz plus a few carp and a bonus 2lb plus perch. There was a match also going on and some struggled to catch so although in what’s known as the flyer peg felt good that a nice net of fish was taken on what was obviously a difficult day. 17/03/16 – Today I was invited by Grayshott Angling Club to create a slideshow for the WVFCA held at Marsh Farm. This turned out to be a very enjoyable evening with other speakers discussing fish disease and improvement projects on Wey Valley Fisheries. 19/03/16 – On the Nash stand at The Big One all day today meeting fellow consultants and talking to the huge turnout of anglers that attended. 22/03/16 – It was nice to get out with one of my regular customers Martin Farmer and today we decided to head to a local lake in the hope that a few perch came our way. Unfortunately the day dawned frosty and bright, one of those days when there’s no wind, the skies and almost cloud free and you just know that you are on a loser, or almost. We decided to fish the sunny side of the lake as this was an area that had produced for me quite a few years ago. Although the sun was warm all we had for our efforts come the early afternoon was a few small carp to the lobs. Strangely the prawns went unnoticed so after snatching a few small lives we headed to the far bank and straight away Martin landed a 2lb 10oz perch on the worms. After a picture she was released and just five minutes later my live bait rod, four swims away signalled a bite. Another good perch was soon landed and we then realised it was the same perch that Martin had landed just minutes before, obviously hungry. The afternoon bought far more bites, mostly to Martin who managed another perch just shy of two-pounds and a dozen or more carp, so all in all not a bad session taking into the terrible conditions. 23/03/16 – With a tench campaign looming myself and Chris decided to head to Newdigate to see if the golden orfe had woken up. The morning dawned cloudy and relatively mild yet the lack of wind had us thinking it would be a hard day and that it proved with just four bites each during the eleven hour session. Chris managed a tench early on the two small orfe and one we didn’t recognise at maybe 4lb. I had four orfe, two small ones plus Crinkle Tail, usually around 4lb 8oz at exactly 5lb and the big one from last year, down in weight at 5lb 12oz. Tough but job done as they say! 30/03/16 – Headed to FAS Bagshot Lea Big Pond to create a You Tube video on bream fishing. Having a few things to do in the morning as well as picking Tom up from Alton we didn’t arrive till midday so it was always going to be a difficult one as this venue is very much a morning water. Things weren’t going to plan after two hours however constant casting finally bought a few bites and come 6pm we had competed what we wanted to do. Once the video has been edited I will inform you of the link needed to view this. 31/03/16 – Back to Newdigate with a customer today who had never caught a golden orfe and having the lake to ourselves on arrival I placed Martin in my usual spot. He cast out two feeders to the going spots and requested that I also fished so decided on just one rod which I cast up into the shallow end of the lake. Things were looking with both of us catching a small orfe on our first casts, then I hooked a bigger orfe that turned out to be the same one I had last week at 5lb 12oz, now an ounce lighter. Martin managed another couple of small orfe before once again my rod saw a bigger fish hooked which turned out to be an orfe weighing 6lb 4oz! I then decided to let Martin fish all three rods but although thinking he had hooked a big orfe four times, only to be frustrated as two tench and two bream, it wasn’t to be his day, yet at least he went home seeing a big one and landing a personal best. I’m sure he will be back knowing that the rigs work and reap the rewards very soon.